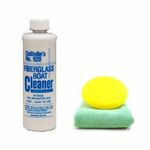 Looking to clean and protect your boats from stains, dirts, and salt? At AutoBarn we carry the best brands of marine cleaners and marine waxes by Collinite, Sea Safe and Starbrite. Great on boats, personal watercraft, RV, aircraft, topsides, hulls, rails etc. 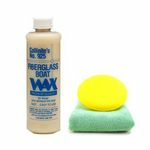 Liquid wax that protects chrome, aluminum, brass, copper, stainless steel, etc.